Tablet PCs – How Durable Are They? After several attempts of introduction into the market around the mid-2000s, tablets are now big business. The vision of ‘holding the internet at the palm of your hand’ has finally come to life, having conquered our minds, hearts, and pockets. But it so happens that these gadgets are most prone to accidents. We carry them everywhere and more than any other device we use them in highly precarious environments such as train-stations, shops, in the kitchen, even in the bath! It is no wonder then that tablet durability has become a matter of high-priority, as well as a unique selling point for tablet manufacturers, some of which go into extreme lengths to ensure their products’ endurance in various conditions. Left your tablet in a steamy bathroom, in the garden in pouring rain, or dropped it in the punch bowl at a party? Well, not all is lost. You may be able to make amends with your cherished device by packing it in a sealed plastic bag with Silica Gel (moisture-absorbent substance usually found in the packaging of electronic goods) for 48-72 hours. If you don’t have this at hand you can use uncooked rice as temporary replacement, whilst contacting your nearest electronics store for some gel, or ordering it online.You can try taking your tablet apart and let internal parts air out, but don’t use domestic devices such as an oven or hair drier, which are likely to make matters worse. Only open your device if you are confident you can put it back together though! If the screws won’t unscrew, leave it for the shop to fix! There are quite a lot of videos out there showing tablets shattered and abused using table saws, golf clubs, bricks, and other paraphernalia. Most real-life breakage scenarios are unlikely to go beyond a drop from the height of an average adult. 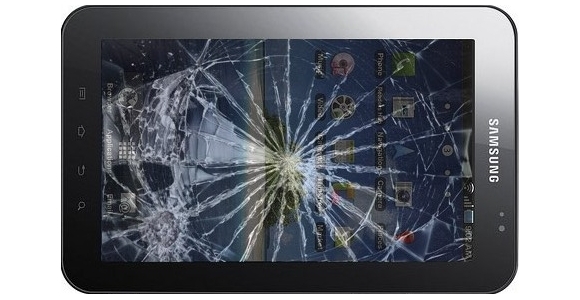 Over time tablet manufacturers have introduced chemical processes to strengthen their display glass and chassis, and reports of an ominous cracked front panel (let alone damagedinternal parts) are decreasing. Some tablets may reach a temporary state of malfunction in extremely hot weather conditions (this usually happens around 35 degrees Celsius), however permanent damage is rare. Under normal working conditions the average tablet heats up to around 25 Celsius, and several tests have found that after an hour of full-power operation (e.g. a video game) devices heat up to around 32 Celsius without any operational problems. It would be unwise to say that the fear of damage caused to our electronic device isn’t real, however it issomewhat over-hyped. Reasonable amount of care is always recommended, but it can be safely stated that today’s tablets can suffer more blows than ever before. This post was submitted on the behalf of Lenovo and their range of tablets (http://shop.lenovo.com/gbweb/gb/en/learn/products/tablets/). Help! I Lost My Tablet! Tablet Computers in Classrooms: Boon or Bane?